St.Lucia, an island of paradise, luxury, and complete and total ambiance. We all need a little bit of that every now and then, but do we always want to pay the price for it, I think not. I have come up with a few options where you can have your paradise vacation and not break the bank for it when it comes to your accommodation. Before we get started, we want you to give our Facebook page a quick like and be sure to follow us on Instagram for some amazing inspiration. We also want to tell you that we use Affiliate links on some posts and we can make a commission if you use the link. Please visit our policy and disclaimer page. Harmony Suites, if the name does not say it all, a place where you can be in complete harmony whilst enjoying your trip to St.Lucia. This guesthouse is situated in a great location in Rodney Bay. It is close to pretty much everything that you need. The malls, grocery stores restaurants are just walking distance away, so you don’t really have to leave the vicinity of Rodney Bay if you don’t want to. It is an older guesthouse but not outdated at all. Rooms are kept clean on a daily basis, and you have the pool which you can use at any time. All of this at for amazing prices through Tripadvisor, so be sure to get your cheaper accommodation in St.Lucia without breaking the bank. Bel Jou Hotel, the name meaning good day hotel, so you know your day is going to be great every day you spend there. This lost paradise is located in Lapense, near many amenities. There are two restaurants to choose from at this hotel. The Verandah Resturant and Bar where you can get a taste of some amazing creole food and the Lulu’s Cabana Resturant and Bar where you can pick up a quick snack between your meals. If that’s not enough you can swim up to the self-serve bar and help your self to a cold one or a nice cocktail. It is close to the Vigie beach but if you don’t feel like walking there is a free shuttle to take you there. This shuttle also takes you to Castries, the capital of St.Lucia if you want to visit. You can get amazing prices for this hotel through Expedia, so don’t miss out on this on cheaper accommodation in St.Lucia. Tropical Paradise View, located in the west of the island, in the fishing town of Anse La Raye. This boutique hotel is a place where you just leave all your troubles and stress behind and enjoy a quiet and relaxing vacation in St.Lucia.Staying here makes you feel like being at home, and not having to worry about everyday duties because mama will take care of everything for you. The hostess provides traditionally home cooked meals for a reasonable price. Nothing is too much for the host of this hotel. They will go above and beyond to make sure your stay is unforgettable. 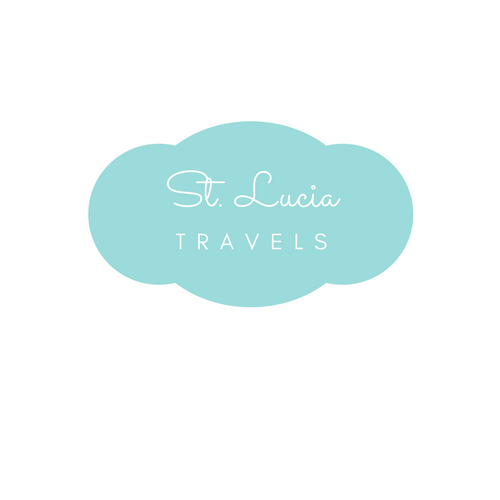 You will definitely experience St.Lucia as a local with them. The view from the infinity pool of the ocean is to die for. Be sure to check out some great deals through Booking.com for your cheap accommodations in St.Lucia. The Habour Club, located in the town of Gros Islet in St.Lucia. This resort is part of the Hilton Hotels collection. It is in the center of Rodney Bay, so it is close to whatever you would need. The shopping malls and nightlife are just a walk away. As soon as you enter this hotel, you are greeted with smiles from the staff giving you the feeling that this will be a great vacation. Walking up to this boutique hotel, it looks like a regular hotel, but once you get inside, its like you are in Miami. Staying here, get ready for a 5-star experience, starting with free daily breakfast at Julia’s where you have the choice to eat indoors in the air-conditioned or enjoy the scenic view outside of the pool and the marina. Are you ready to book your cheap accommodation in St.Lucia yet? Booking.com can help you out with some amazing deals. Bay Gardens Marina Haven is a boutique hotel that has so much to offer. It is located in Gros Islet, close to many shopping centers. That makes it easy for you to get all your souvenirs at the end of your trip to St.Lucia.Looking for things to do, the staff here are great with helping you plan out all your excursions and letting you know the best tour companies to go with. Staying here, you get to enjoy a free pass to the splash pad in Rodney Bay, so if you are traveling with kids this could be an amazing activity for them. The staff at this hotel will go above and beyond to make sure your stay is memorable. If you feel like eating something more local, there are restaurants walking distance, like Liz Roti, Buzz Seafood, Jacques Waterfront dining and Flavors of the Grill. Summer isn’t over yet, hurry to get your great deals with Expedia for your cheap accommodations in St.Lucia. The Coco Palm Resort, just the name gives you a Caribbean vibe. This resort is located in the Rodney Bay Village, close to the malls and the beaches. There are two great restaurants that are located right in the resort. Ti Banana restaurant which is open for breakfast, lunch, and dinner and also if you just want a small afternoon snack, and the Creole Grill which is open for lunch and dinner. The great thing about this resort is that you have the option to do an all-inclusive package, so you don’t have to worry about your daily meals and drinks. If you decide not to go with the all inclusive, the breakfast is always complimentary, so at least you got one meal covered. The staff are phenomenal at this resort, they will make sure to help you with all your tours and everything you have planned for the island. Have you heard enough to start packing and book your stay at Coco Palm. Tripadvisor to help you out with some amazing rates for your accommodation in St.Lucia. The Royal St.Lucia Resort and Spa is a newly renovated resort, located in Rodney Bay on the island of St.Lucia. Staying at this resort, you will feel like royalty. From the spa services to the all-inclusive packages, you will never want to leave this paradise resort. Want to go to the beach, it is just a walk away and you will be enjoying the warm Caribbean water. Relax in luxury beside the pool and enjoy some cocktails and some snacks from the swim up pool sidebar. Enjoy some flavorful Caribbean cuisines from the two restaurants L’Epicure and Terrance and the Le Mistral Lounge. This is definitely what a Caribbean resort should feel like. Attentive staff, spacious and clean rooms, and just peace and tranquility. Are you ready to book your cheap accommodations for your stay in St.Lucia? Trust me you won’t regret it. Poinsettia Villa Apartments are located on Belizaire road in Vigie, very close to the capital of St.Lucia, Castries. Because of its apartment style, it is great for groups traveling together, or it could work perfectly for a couple traveling and want to visit the island as a local. It comes with a fully equipt kitchen, so you are able to cook your own meals and a washer and dryer, so no need to worry if you run out of clothes on your trip. From different apartments, you have a great view of the ocean, so just think about sitting on the terrace having your morning coffee and planning your day ahead. The staff at this villa are very attentive and they try to attend to your every need. Staying here is like staying at a home away from home. Plan your accommodation in St.Lucia today at Poinsettia Villa apartments, you won’t regret it. Mango Beach Inn is located in Marigot in St.Lucia, the part of the island which has the most beautiful Bay. This little inn is great for couples traveling and want a little more privacy with their accommodation in St.Lucia.The Blue Bamboo room and the Greenfig room come with their very own entrance, so you will feel like you are in your own little villa. Being in Marigot, there is so much to do. Just take the free water taxi across the bay and start to explore St.Lucia at your own pace. The staff is great when it comes to helping you plan out your trip, from booking tours to help you decide where to eat. Ready to book your cheap accommodation to St.Lucia yet, Mango Beach Inn is the place to stay. Castles in Paradise Villa Resorts, as it states in the name is just pure paradise. It is located in the southern part of the island of St.Lucia, Vieux Fort, so it is very accessible to the Hewanorra Airport, the bigger of the two airports in St.Lucia. Upon arrival, you will be greeted by an amazing staff that will make you feel right at home from beginning to end. These villas are perfect when traveling in a group because of their great rates. There are so many things to do whilst staying here. Sandy beach and the Reef beach Bar are just a mere 15 minutes drive away, not too far for an exciting day. If you are someone looking to see the island like a local this is a great place for you being that it is away from all the touristy things. The villa is guarded with a security at night so there is a sense of being secure whilst there. The Castilla Bella Villa comes with its very own private pool so there is something you can look into if you are traveling with your boo and need some extra privacy. I don’t know about you but this sounds like the perfect accommodation for me in St.Lucia. Tet Rouge Resort, located on the border between Soufriere and Chousiel, a couple minutes walk away from the Gros Piton. This intimate resort is perfect for couples trying to rekindle the flame. Once you arrive you are welcomed with charm and warmth by the resort staff making you feel right at home. The spacious rooms and indoor and outdoor showers give it a nice touch of being in the Caribbean. Being in Soufriere, it is easy to get to the many tourist attractions like the pitons and the sulphur springs. The staff there are very helpful when it comes to planning those tours. This is the perfect place to get your cheap accommodation in St.Lucia. This is a resort you don’t want to miss out on. Well, travelers, these are a list of villas, resorts and boutique hotels that will not break the bank whilst looking for accommodation in St.Lucia. I really hope you take the time to look through them and see which ones fit you. I have added the link to the trip advisor reviews so you can make a better decision. Feel free to let me know how you enjoyed your vacation in the paradise island of St.Lucia. I’ve been to several Caribbean islands, but not St. Lucia. It’s a place I need to take the family and you offer some fine suggestions on places to stay that are nice, but not overly expensive. All of these places look gorgeous. We are currently trying to find a place for our Honeymoon and I had not thought of St.Lucia. It is definitely now on the list. Thanks so much for sharing.